A range of educational services tailored to your setting. In house workshops and external networking professional learning days for Schools, Day Care Centres, Teachers, Teaching Assistants and Community Educators. Topics include; Nature Play & Childhood Development, Safe Risks & Risky Play, Introduction to Nature Learning, Curriculum Alignment and Assessment. 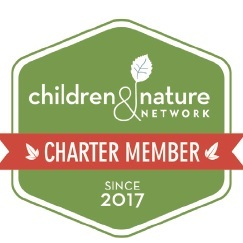 Support for your Nature Play or Outdoor Learning program. We will lead and manage your outdoor sessions in a natural area near you. Hands on learning through doing. We develop policies and procedures with you specific to your site, and assist with staff and family communication at information nights and written communication. Bring the Australian Curriculum alive! Kara is highly skilled and efficient in STEM and Inquiry Based Learning curriculum design for primary and lower high school years. Need your nature play ideas aligned to the curriculum, or more ideas on assessment? Contact us for a free consult to discuss your ideas. Previous Clients include; Bookend Trust, Depart. of Education and Friends' School.